The Iconic Red Lions jersey is known around the world as the best of the best. The Pro jersey retains the majority of key product innovations and benefits that feature in the Match jersey, however it has been modified to allow for repeat use and to be more comfortable for supporters to wear in a straight fit. The Pro jersey features the key visual elements from the Match jersey. 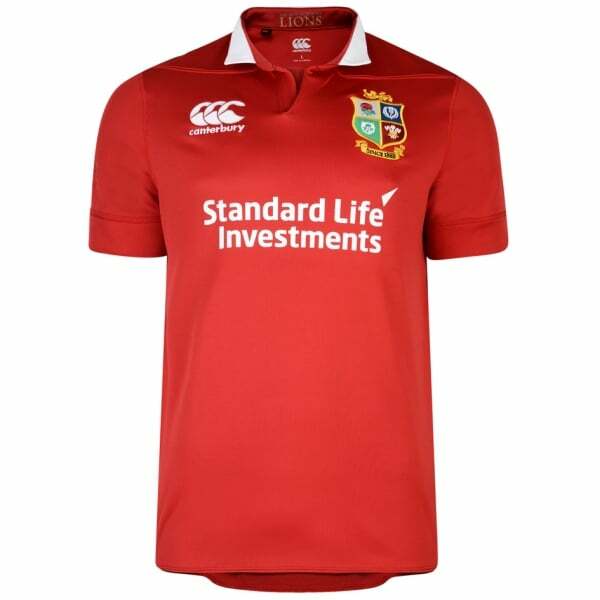 The collar design closely reflects the unique heritage of the British & Irish Lions by combining an authentic aesthetic with modern & innovative construction methods. Be part of the pride.